1Not available with special financing, lease and some other offers. See dealer for details. 2Must take delivery by April 30th, 2019 3Not available with special financing, lease and some other offers. See dealer for details. 4Conditional offer. Not available with all other offers. Stackable % Cash Back for customers who have owned or leased a 2005 or newer non-GM vehicle for a minimum for 30 days. Must take delivery by 4/30/19. See dealer for complete details. 5Private offer to current lessees of eligible 2014 Chevrolet, Buick, GMC or Cadillac vehicles towards the lease of a qualified Chevrolet vehicle. See dealer for details. 6Lease Loyalty Purchase Private offer to eligible 2014 or newer Chevrolet, Buick GMC or Cadillac lessees only toward the purchase only of certain Chevrolet vehicles. See dealer for details. 7Monthly payment is $13.89 for every $1,000 you finance. Example down payment: 15.0%. Must finance with GM Financial. Some customers may not qualify. Not available with lease and some other offers. Take new retail delivery by 4/30/2019. See dealer for details. 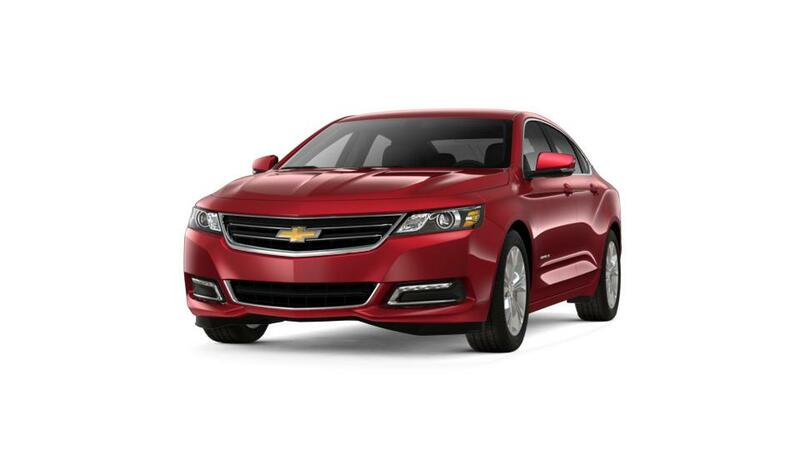 The new Chevrolet Impala, offered in Mukwonago, is a sedan like no other in its class. This amazing vehicle has everything for everyone, including a spacious interior, innovative safety features and advanced phone integration. Lynch Chevrolet of Mukwonago is your premier dealership for the new Chevrolet Impala. So don’t wait! Browse through our online inventory and we are sure you will find what you need, and if you don’t, call 866-699-9245 to speak to our experts and they will look for it. You can also make the most of the financing options that we are offering at our Mukwonago dealership. Drop by to learn more about the new Chevrolet Impala in Mukwonago today!